Editor’s Note: The following blog post by Steven Proctor, Ph.D., addresses an ongoing area of dysfunction in the addiction treatment system: the inability to measure the impact of the treatment services. Here, Dr. Proctor offers measurement-based care as the solution, and paints a picture of what that looks like in practice. Measurement-based care means the ability to understand how an individual patient is doing, how a program is doing, and how programs/practices in aggregate are doing. This is vital information. As such, IRETA’s clinical quality improvement projects always emphasize the need for organizations to learn how to collect, organize, and use their own data so that, going forward, they can “be a consultant to themselves,” i.e., adjust their treatment practices based on what is working on the ground. Moving toward the use of evidence-based practice in addiction treatment is great, but how do you know what’s working if you don’t measure the effects over time? In the current landscape concerning the delivery and reimbursement of substance use disorder treatment services, the ability for treatment providers to systematically monitor and document treatment outcomes remains of paramount importance. 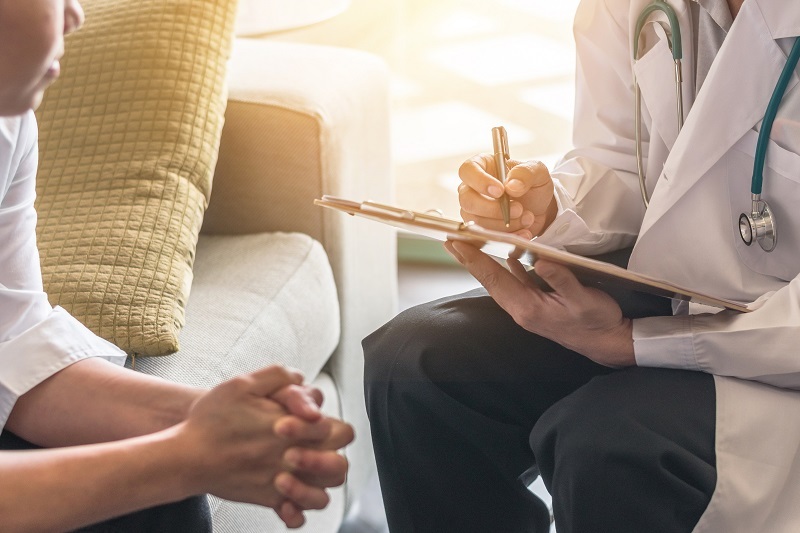 Treatment providers are increasingly being tasked with the expectation to not only measure patient performance, but to demonstrate the success of their clinical services. At the industry level, addictions treatment providers are operating in a highly competitive environment in which cost and efficiency are no longer the main selling point; quality of services now takes precedence. At the patient level, individuals seeking addictions treatment care—as well as their families—are becoming increasingly savvy and informed in their search for a treatment provider with documented evidence of effectiveness to ensure they achieve the best possible outcome. Routine outcomes monitoring with regular feedback regarding treatment effectiveness and patient satisfaction also has the potential to improve the overall quality of treatment care and ensure accountability to stakeholders by maintaining treatment quality. According to best practices and industry standards, a key indicator of quality addictions and behavioral health treatment care is having valid and reliable measurement-based systems in place to track patients’ response to treatment. When such information is then used by providers to drive clinical decision making and inform patients’ treatment, this is known as measurement-based care. National recognition of the importance of protracted outcomes monitoring is evidenced by a recent issue brief released by the Kennedy Forum calling for widespread adoption of measure-based care in the delivery of behavioral health care services, as well as a number of leading health care payers (e.g., Aetna, Anthem, Inc., Blue Cross Blue Shield, Cigna, Magellan Health, UnitedHealth Group, among others)—who collectively serve nearly a quarter of a billion patients—showing their commitment to the National Principles of Care for the treatment of addiction. The Principles were derived from the U.S. Surgeon General’s Report on Alcohol, Drugs, and Health and are backed by decades of empirical research. Of particular interest, one of the eight Principles of Care specifically addresses the need for long-term engagement with regular monitoring of outcomes/progress to adjust the nature and intensity of care accordingly. In the absence of standardized metrics, it is impossible to adequately document treatment outcomes, patient progress or improvement, and demonstrate any kind of meaningful impact. What Does Measurement-Based Care Look Like in Practice? In accordance with best practices, it is advisable that patients complete a comprehensive assessment of multiple areas of functioning at intake as well as at pre-determined intervals (e.g., 3, 6, 9, & 12 months) following discharge from the primary treatment episode (residential, intensive-outpatient, etc.). In addition, patients should be assessed for both mental health and addiction “vital signs” at all routine contacts. Given that recovery encompasses more than simply cessation of alcohol and drug use, outcomes monitoring systems must assess for improvements in health and social functioning, as well as reductions in numerous threats to public health and safety. A key indicator of quality addictions and behavioral health treatment care is having valid and reliable measurement-based systems in place to track patients’ response to treatment. A well-designed and measurement-based outcomes monitoring system uses a multi-domain approach in which key data from various relevant areas of interest (e.g., clinical, employment, social, legal, quality of life, patient satisfaction) are collected from patients on a regular basis for a minimum of 12 months post-discharge. That is, in addition to traditional measures of substance use (class, quantity, frequency, route of administration, etc.) and maintenance treatment medication dosage and adherence (if applicable), patients should be assessed for several relapse risk indicators from other pertinent domains of functioning. Determination of relapse risk can be facilitated by formal, psychometrically sound (i.e., valid and reliable) measures of craving, self-efficacy, readiness to change, social support, motivation, etc. Patients should also be administered structured questionnaires assessing health care utilization, occupational functioning, legal involvement, social functioning, quality of life, and motor vehicle accidents, among other areas. Personalization of monitoring systems, in which specific outcome areas of interest to the provider are targeted, is also prudent. The routine and systematic collection of longitudinal data allows for the preparation of comprehensive outcomes summary reports on a regular basis (i.e., monthly, quarterly, or every six months). Reports should also include a detailed clinical and demographic profile of the patients served. Such an effort could be delegated to existing staff with the necessary background and qualifications or an independent consultant, who would be responsible for cleaning and formatting the database at designated intervals (monthly, quarterly, etc. ), and conducting the appropriate statistical analyses in order to write up the findings in an easy-to-read comprehensive outcomes summary report. The routine and systematic collection of longitudinal data allows for the preparation of comprehensive outcomes summary reports on a regular basis. For national or larger treatment systems with multiple locations, analyses can be broken down by site to allow for comparisons. The content areas included in such reports are likely to be of interest for internal use (e.g., presentation to relevant stakeholders at performance improvement meetings) and/or external use (e.g., marketing or sales materials) by the provider. Empirical evidence documenting the effectiveness of a provider’s treatment services from an independent evaluator will also prove helpful for health insurers, funders, and prospective patients or their loved ones. In terms of the benefits of post-discharge outcomes monitoring, planned contacts provide patients with support, direction, and personal accountability as they transition from the acute phase of care and leave the “safe” structured confines of treatment to return to their home environment (i.e., the “real world”). This affords providers with the opportunity to exchange program-specific information (alumni events, etc. ), monitor progress and patient adherence, recognize complications and barriers to recovery early, and provide reassurance to patients throughout the continuing care phase. Routine contacts with trained staff in which patients receive ongoing support also has the potential to reduce stigma. Finally, planned contacts completed throughout the initial one-year period following the primary treatment episode offers the added benefit of allowing patients in crisis or those who may have recently relapsed to be identified. Such patients may be appropriate for placement at a higher level of care (e.g., residential, intensive-outpatient). Patients appropriate for—or expressing interest in—readmission can therefore be live transferred to the provider’s Admissions Department to facilitate the process of readmission without delay. Does the organization have a standardized instrument/tool that is appropriate for measurement-based care and monitoring patient progress? Does the organization administer it consistently at multiple intervals in the care process? Does the organization actually review the collected data on a routine basis and modify the patient’s treatment objectives and goals accordingly? 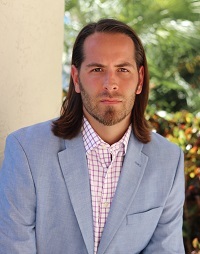 Steven L. Proctor, Ph.D. is a licensed clinical psychologist and founder of PRO Health Group. He also serves as the Chief Research Officer at AiR Healthcare Solutions, and holds a faculty appointment at the rank of Senior Research Professor at a private university in Miami. He specializes in the evaluation of behavioral health care treatment systems with a focus on addictions treatment outcomes and has published extensively in this area. He frequently collaborates with national and local agencies to improve their treatment systems through research, training, technical assistance, and program evaluation. He has worked with treatment programs in the United States as well as abroad, and has provided consultation to a number of agencies ranging from individual treatment centers to national health care organizations. Find him online at http://www.prohealthgroup.net and contact him directly at sproctor@prohealthgroup.net.